Looking to replace Curado 5:5 reel. It was 7.3 ounces so I am looking for lighter option, anyone know of a liegtweight low gear ratio reel that throws for distance? I use it for low to medium depth crankbaits. Higher end, I just got a Shimano Metanium MGL Casting Reel I love but it doesn't come in lower power ratios. Prefer real low. I have a rod on order from Lee smith and since losing this I may ask him if he can double my oder when its my turn or go with Dobyns. Dang sorry you lost your set up to the Lake Gods and be sure to post some pictures of your new LSCR or two of them when you get them. Those Shimano Conquests are nice!!! Sorry you lost your setup. The Shimano Antares is 5.5:1 but at 7.9 ounces heavy. The only Conquest I located was round? 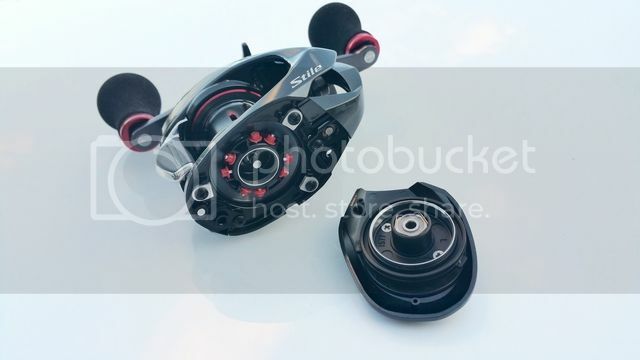 I never fished or seen a reel like this? Is it more spinning or baitcaster reel, I want it for baitcaster rod. The Diawa CT is heavy and at 5.5:1 gear ratio also. I was looking at the Lew’s® BB1 Pro Speed Spool when you wrote this. How is this for casting? The Conquests are casting reels. They are round reels, but it is the same principle as a regular baitcaster. They offer a bit more line capacity and drag compared to a similar size baitcaster. For cranks I'd look for an older reel that you can get a good deal on- a TD-Z would be a good option- they're made of magnesium and are super light. Older reels are more widely available in low gear ratios. I really like my Lews BB-1. I too was thinking the BB1 pro would be a good choice. Now selling most places for $199. they cast great even though they are not high end but certainly a cut above. Thanks Mike, I found a Daiwa TDZ 103P, 5.1:1 6.2 oz used reel on ebay for $179 in reportably exc. condition. 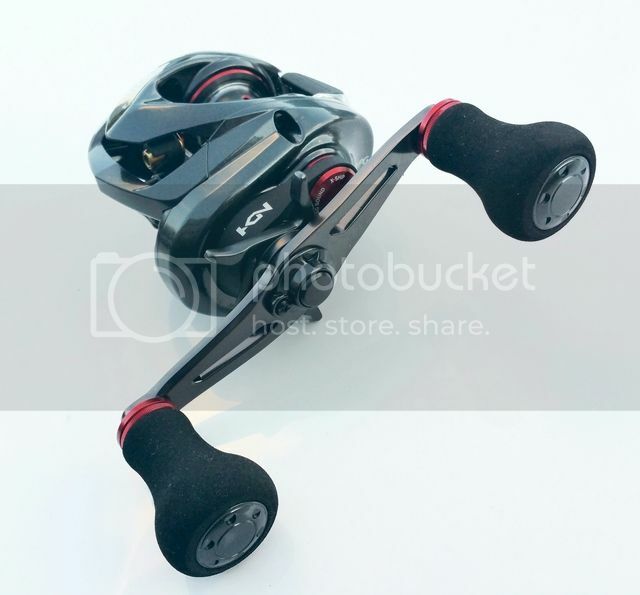 This was good suggestion because none of the newer reels have me the low ratio and weight I was looking for except for Lews BB1 Pro at $199.00, I have several Lews Team Lites and no Daiwa's so I figured I'll try a Diawa. Also ordered a Dobyns 764 CB RM to pair it with. That will be a killer combo. Glad to be of help! I own two TD-Zs and they are incredible reels. 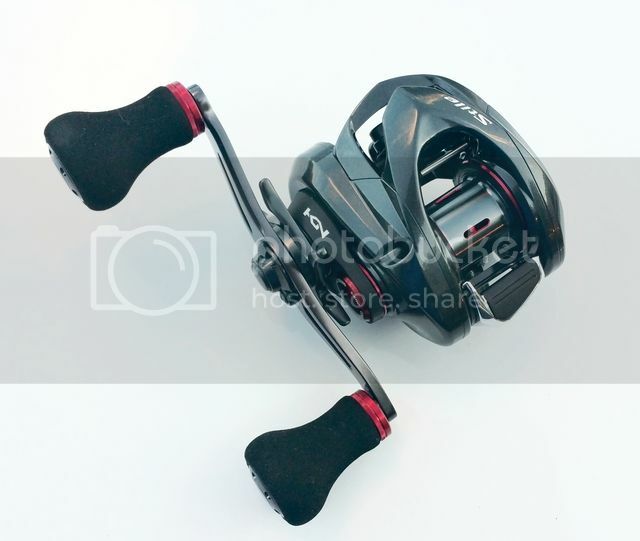 Best choice for lightweight cranking is the Shimano Style. Unfortunately it's only available directly from Japan and they run around $400. I've got two of them. It's essentially an Aldebaran regeared and tricked out for cranking. 102mm handle, oversized knobs, clicking drag, and it will throw everything from a #7 Shad Rap to a DD22. Duh, TDZ. Here I was sticking to a new reel. Very top notch choice. Many spools that can fit into that little bugger. Agreed, I love my Lews but not low enough gear ratio. Received both rod and reel. Reel was bought used on ebay and quite frankly it looks new, with box and all inserts including tube oil in all new condition. Lined it with 12lb Mono SpiderWire. Also received the Dobyns 764 CB RM and gotta tell ya', what a rod. Paired up they make killer combo, next weekend will get out for good test on lake. Testing it out in shallow local pond has been a success so far. 5.1:1 keeps bait in zone and rod pins fish nicely. The distance in the rod/reel combo is insane. Not "high end" but check out the Abu Garcia Orra Winch. 5.4:1 and has an IPT of 22.I believe you can get them for like 80.00 brand new.They are a workhorse,smooth caster,and it BOMBS.Its the cheapest caster in my arsenal,but one of my favorites.